Malibu and Amy has a 1967 Chevrolet Camaro. Here are a few pictures of the Nomad. 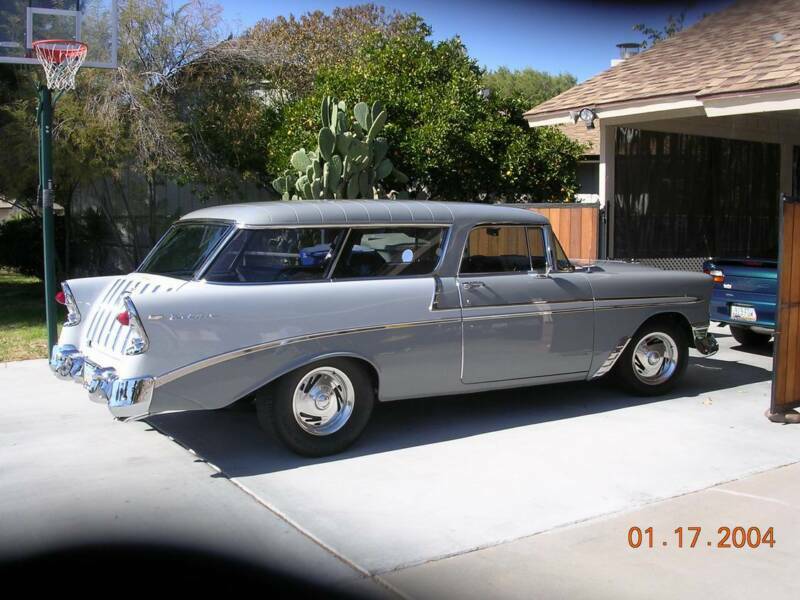 Here is our 1956 Nomad. All of the bodies were made at the Cleveland plant and shipped to the Flint, Baltimore, St. Louis, Los Angeles, Jamestown, Tarrytown, Atlanta, Kansas City, Oakland, Willow Run, and Norwood plants to be assembled. Some of the unique features of the Nomad are the chrome tailgate bars, the ribbed roof and of course, the slanted "B" pillars. There were 8,530 Nomads produced in 1955. 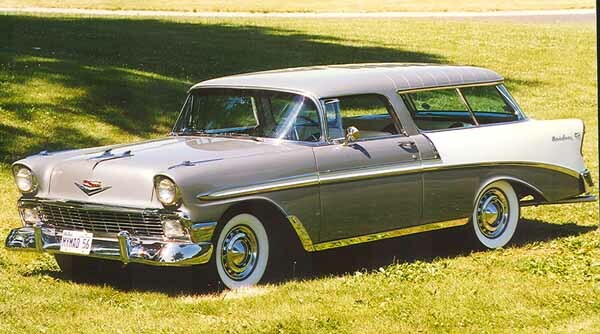 Special features unique to the 1955 Nomad are the headlight eye brows, fender and door spears, large rear wheel wells, waffle pattern interior design, and other interior trim pieces. There were 8,103 Nomads produced in 1956. Half of those were the panel delievery model. 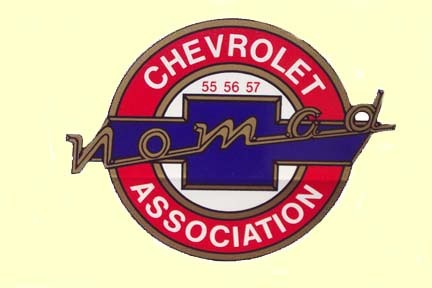 Chevrolet standardized most features in 1956. Two special features for the Nomad were the dogleg on the quarter panel and the chrome "V" under the tail lights for eight cylinder cars. There were 6,534 Nomads produced in 1957. The 1957 models received no special trim. 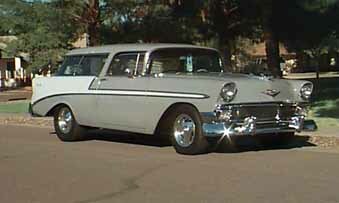 All interior and exterior trim are interchangeable with other Belair models. 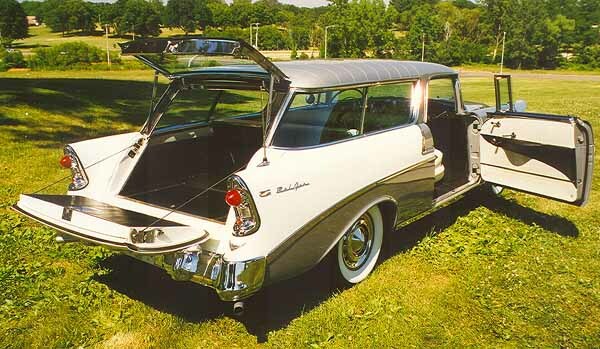 Even though there were fewer 1957 Nomads produced, and it had no special trim, it is arguably the most popular with collectors today. 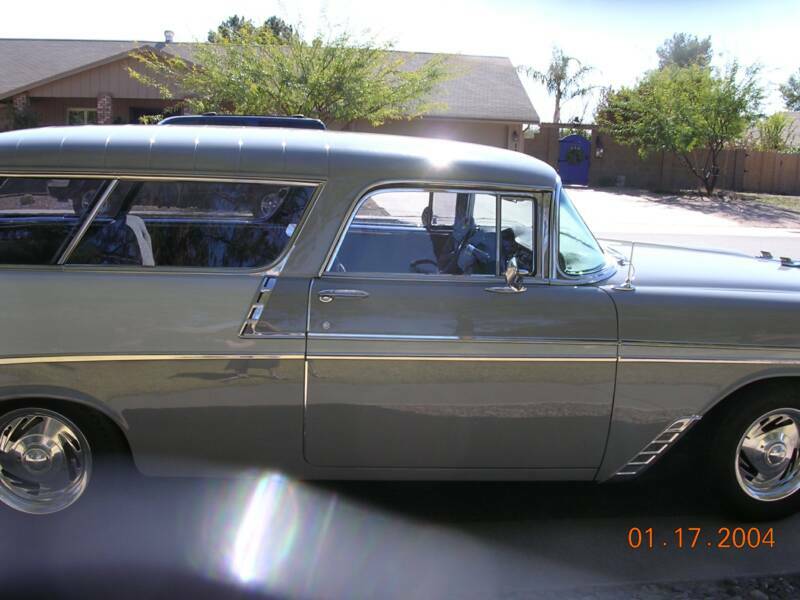 I bought our Nomad from a fellow in Arizona who bought it from a retired auto shop high school teacher in Prescott, Arizona. He trailered it back from San berdo. It was a basket case and the work he did turned out very nice. The deal was made in late 2003. Since then alot has changed. My Son Jon and I tore it apart. We built a custom stereo system including four amps , custom speaker box. We completely rebuilt the front end which is a 1979 camaro clip, Installed a new Ron Davis radiator with dual 14" puller fans ,New headman headers with a two 50 series Flowmaster exhaust system. New chrome altenator, valve covers, battery box, Billet pedals, New 454 +.030 engine, has a 700R4 tanny by BowTie overdrive to name a few things. For more details check out the pictures below. We rebuilt the engine, front end, exhaust system, radiator, etc in 2005. Its taken six months of working nights and weekends. Bob Heydinger built the 454 +.030 engine and did quite abit of fabricating. He is quite a craftsman and does quality work. Ive learned alot from him. My Son Jon has become very good at custom car work too and has helped me out alot through out the process. Here are afew pictures. 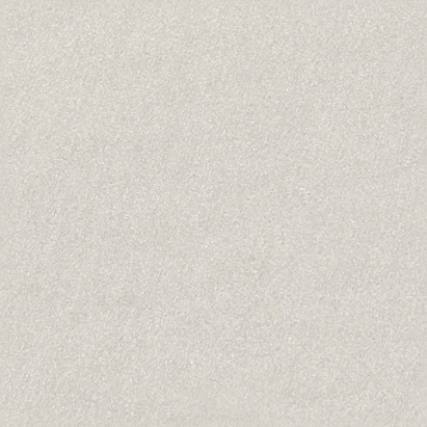 On our Nomad the dark grey color is call "Ascot" used by Mercedes from 71-78 and the other is Slate which was used by GM during the early 70's. I have the numbers and will be posting them soon. Ive kept mine as stock as pssoible on the outside looking in, but you know something is going on when I start her up <g>.